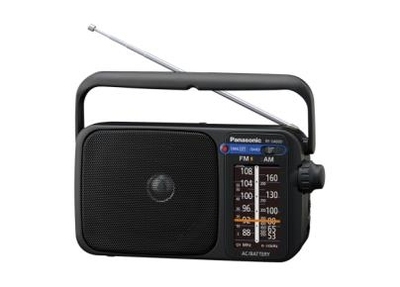 Portable FM/AM Radio with Digital Tuner. This simple, easy-to-use FM/AM radio features a Universal Design for easy viewing and a new digital tuner for easy and stable tuning. It operates with either an AC adaptor or battery, so it can be easily used in the living room and carried outside when desired. Works with Batteries or Direct Mains . Includes Detachable mains lead.